Summary: Overall, this very beautiful board is very affordable and certainly deserves to be considered whether you are a first time buyer or a pro looking for a new replacement. 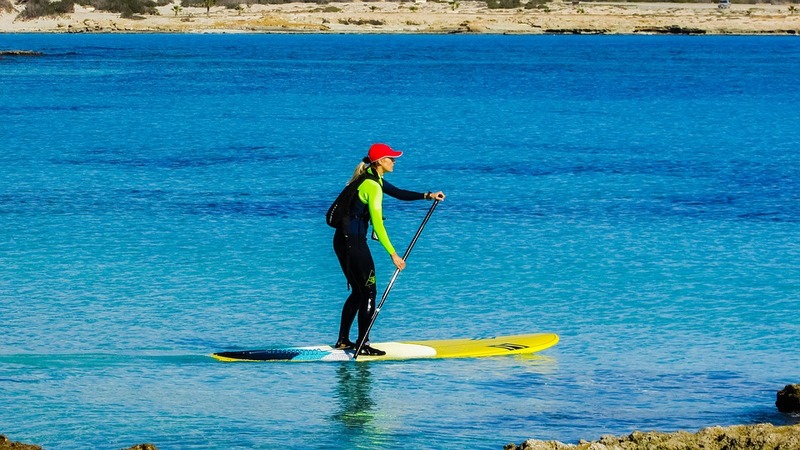 One of the best things about the Vilano Journey 10′ Inflatable stand up paddle board is that it comes inclusive of everything you need to have a successful cruise. Plus, it is very affordable; if you are on a budget and cannot afford the over expensive boards, then this is just the thing for you. 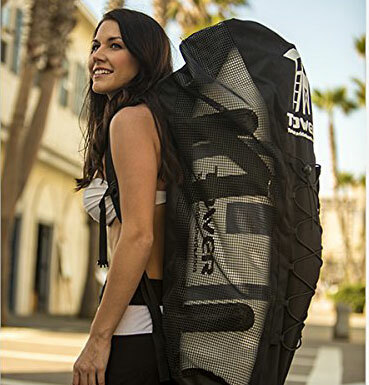 It comes with a 75.5’’ 3 piece paddle, a backpack style carry bag; carry bag, and a pump with a pressure gauge, removable 8’’ fin, a patch kit, and valve wrench! It tracks very well in different water settings and it is made from very high quality materials making it durable and very sturdy. 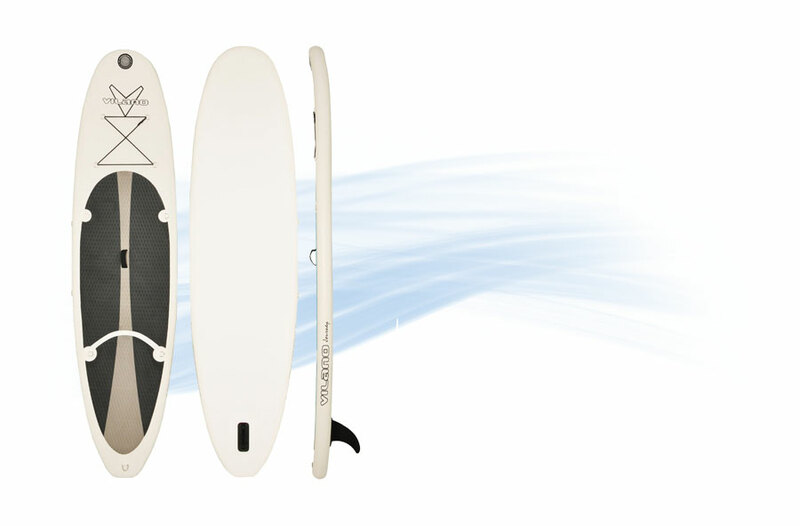 The anti-slip diamond deck Vilano Journey 10′ Inflatable SUP is available in two cool colors: White/ Grey and Blue/ Grey. 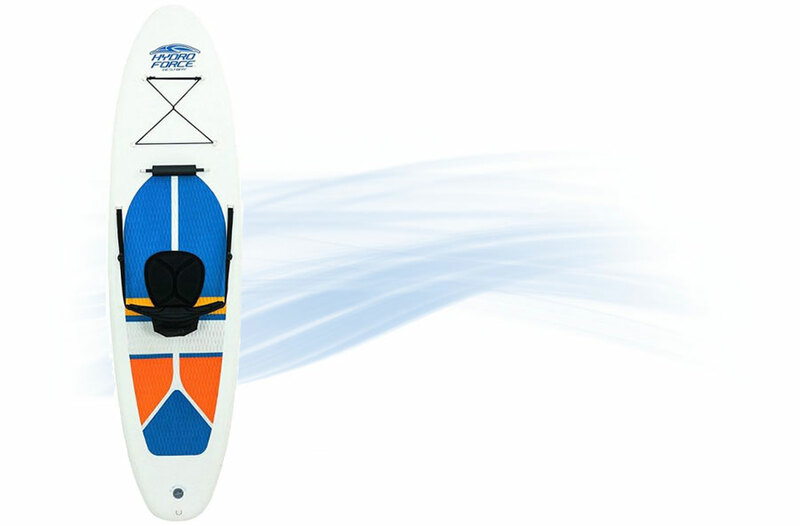 This SUP board is made of high grade PVC material with Korean drop-stitch construction. It measures in at 10’’ long by 31’’ wide and can hold up to 200 lbs. 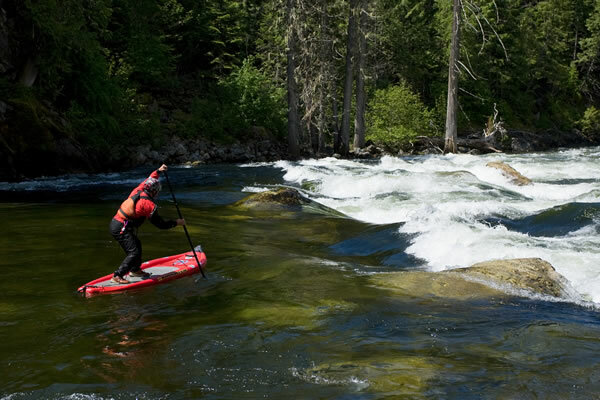 Compared to other boards that are currently selling in the market, the Vilano Journey 10′ Inflatable SUP is one of the most popular and the best budget-friendly inflatable SUP on the market. This board rolls to a 1 foot diameter by 35’’ when deflated. This makes it very portable and store. It comes with seven on board heavy duty “D” rings hook and a bungee that can be used to carry coolers, extra cargo, or attach Kayak seat backrest. 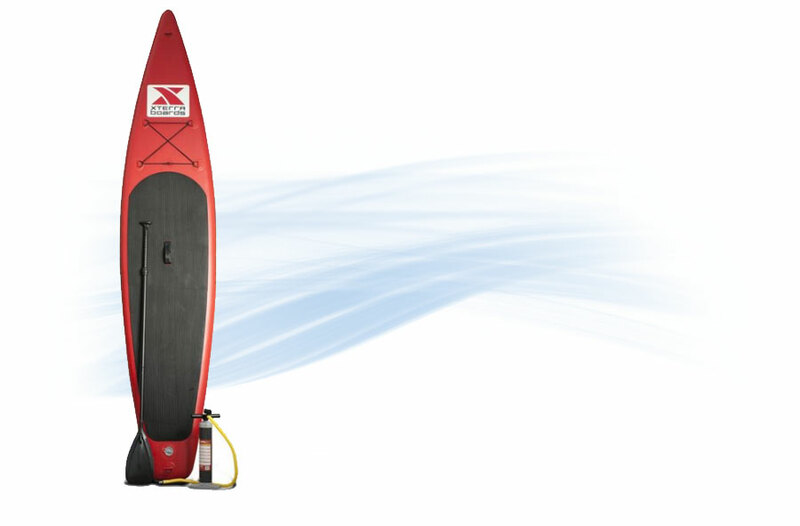 The Vilano Journey 10′ Inflatable SUP is suitable for all levels and ages. 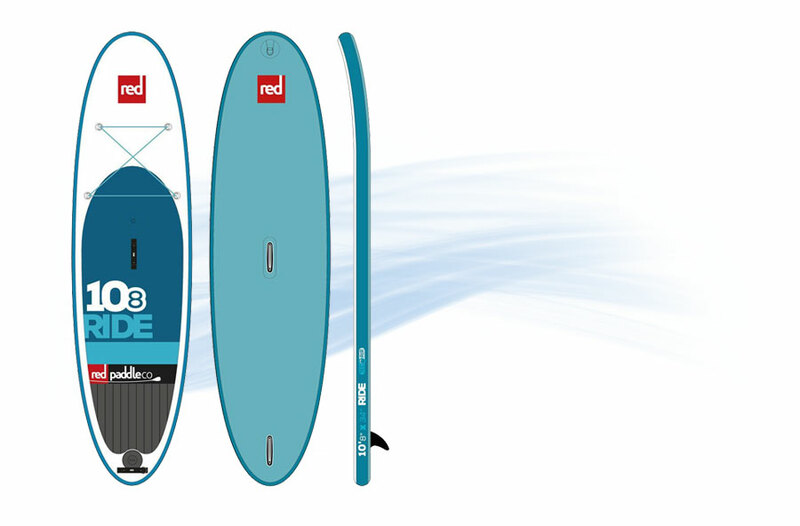 Whether you are an experienced stand up paddler or a beginner, this board will not disappoint. 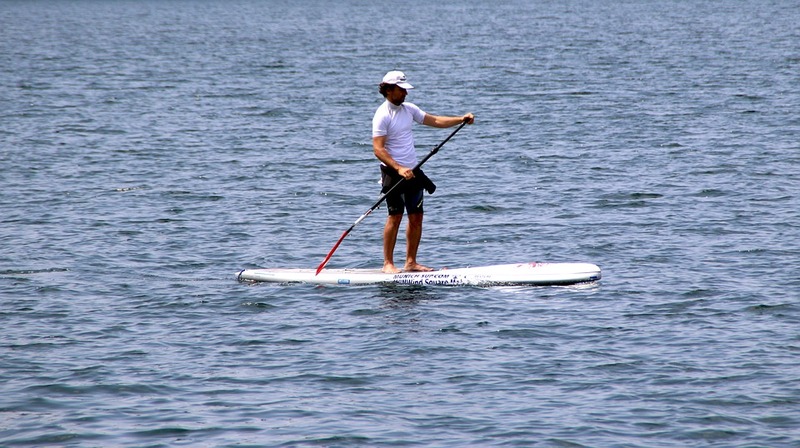 Due to its lightweight, it is very easy to carry to and from the water. You do not need to have muscles to lag this board along. 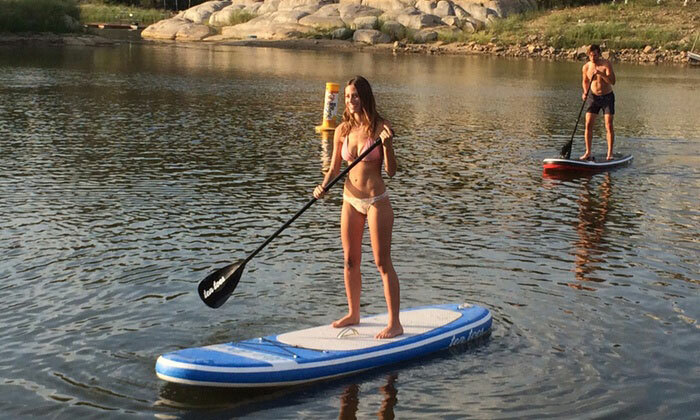 Simply deflate it and carry it down to the beach or lake with you. 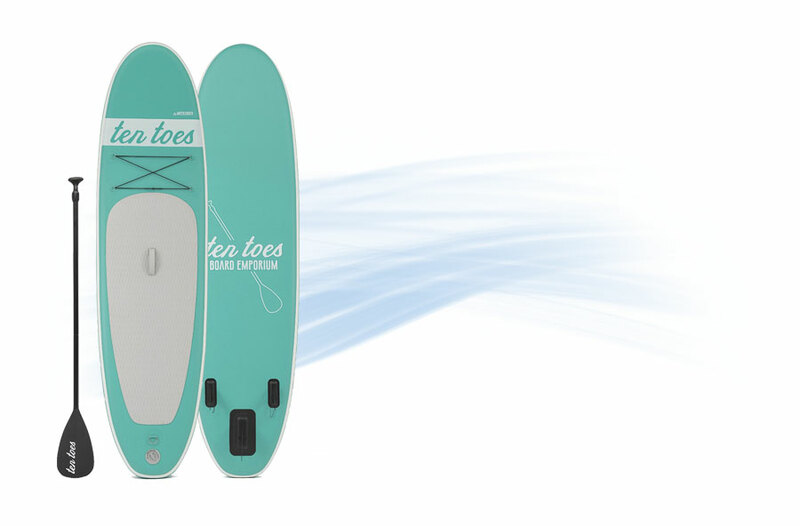 The board is perfect for all water conditions be it the ocean, lake, on flat water, river runs, or when you want to just ride the small waves. 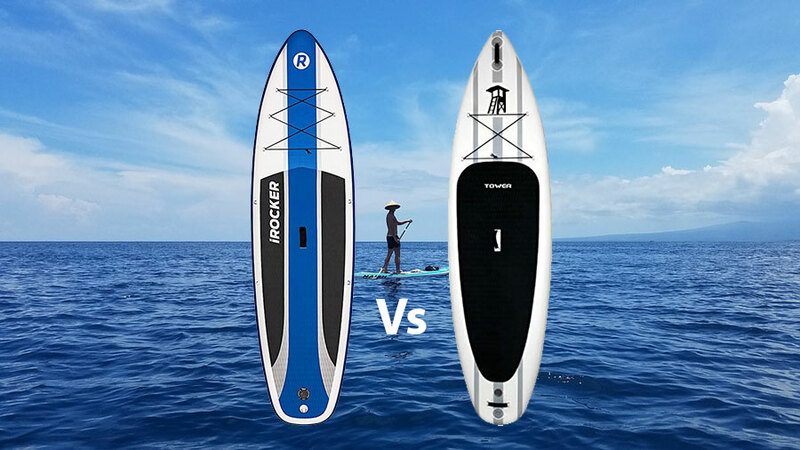 Not only do you get a durable board but you also get a hand pump with integrated pressure to help you inflate the SUP and a 3 piece aluminum paddle. It also comprises of a valve wrench, a patch kit in case you do some minor damage to the board, and a removable fin for the paddle board. The backpack carry bag included as well is quite handy as you can store most of your items here. You can roll up the paddleboard and fit it inside this handy bag. In the bag, you can also store and attach the pump and paddle in the netting located at the front of the backpack. Aside from these very useful physical items, the board comes with a 1 year manufacturer’s warranty that covers labor and material defect. 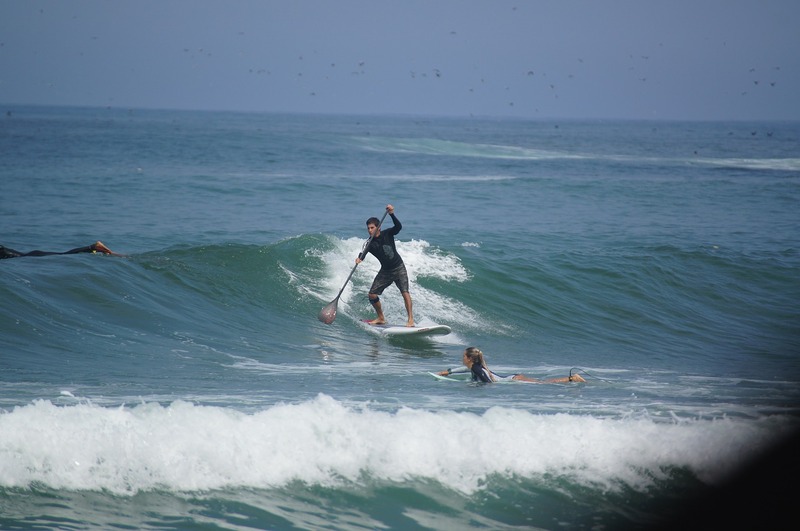 Here, we summarized all the pros and cons of the Vilano Journey 10′ Inflatable SUP. The stainless steel D-rings and bungee on the front deck offer great storage space. Can hold a person weighing in at 200 lbs. 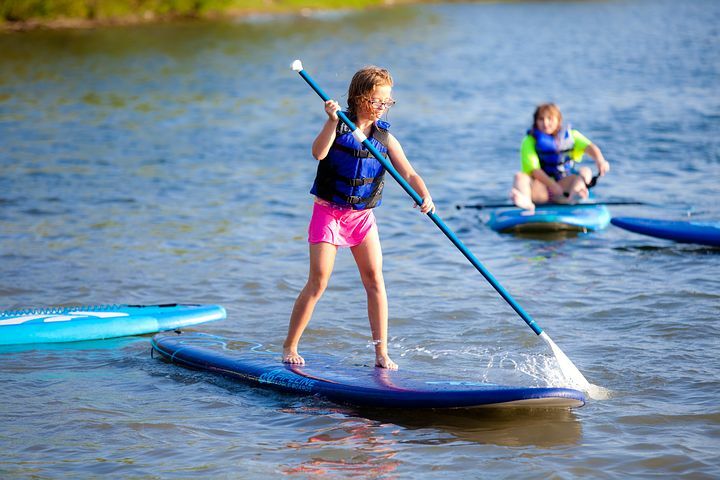 If you are on a budget and looking for great inflatable stand up paddleboard that is inclusive of a backpack carry bag, a paddle, and a pump, then the Vilano Journey 10′ Inflatable stand up paddle board is just what you need to buy. 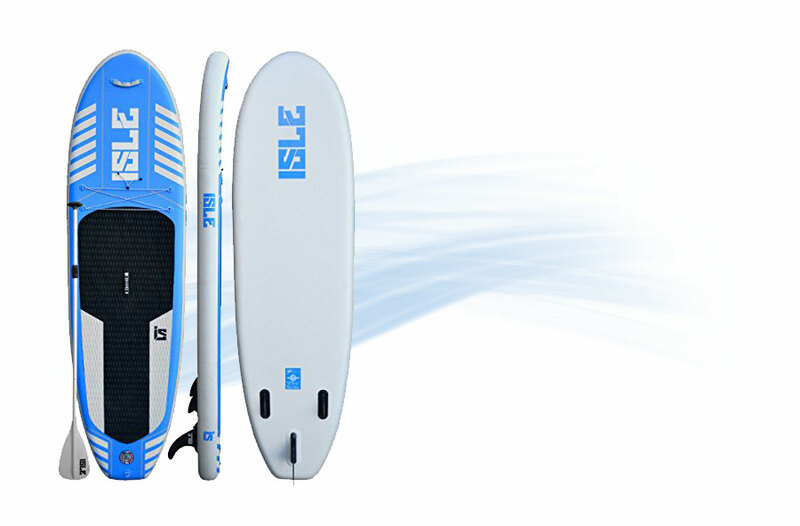 It is one of the cheapest ISUP board in the market. 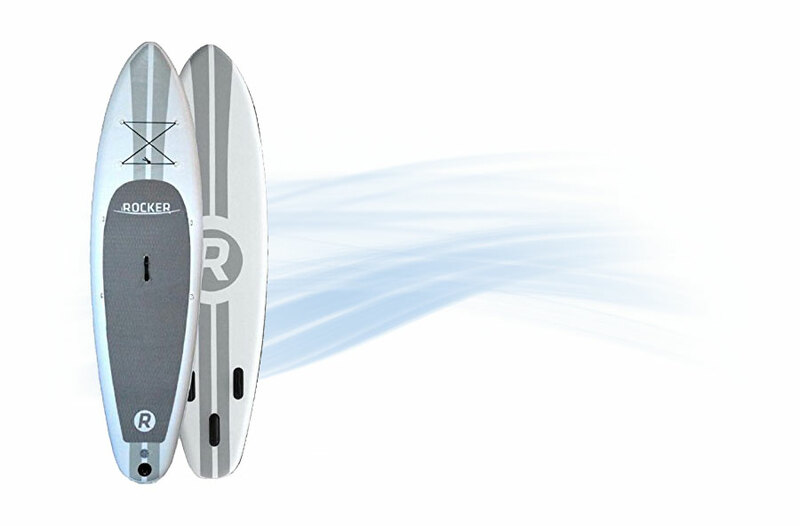 The board is very durable, easy to set up and tracks very well in a variety of water conditions. Overall, this very beautiful board is very affordable and certainly deserves to be considered whether you are a first time buyer or a pro looking for a new replacement.